Confidence is a crucial element of being in our industry. Unfortunately, there are far too many of us that are lacking in this department. You need you to be confident in your work and your client needs you to be confident in your work. Think about that one! Would you hire a photographer that was not confident in their work? Now, we all go through phases of questioning our work or times where we just are not impressing ourselves anymore. That is normal. But what if you are in a perpetual slump of feeling like you are “not good enough?” Questions I see and hear from photographers all the time in person and in online groups go something like this: “Is this good enough to share/post?”..“I can’t charge that! I am not good enough”..“Do you think the mom will like this?”..and so on and so on. I think that most of us, if not all of us, struggle with this issue – especially when we are first starting out. I remember thinking, “Will I ever be confident in my work?” The answer is yes, you can be confident. I promise. But sometimes you have to take control of your confidence – it’s all mental. I remember about a year into the business, I finally decided I was tired of feeling like the underdog, tired of being the person not good enough to charge “x” amount, tired of not being the “professional.” I had to give myself a little tough love. My attitude was the only thing hurting my confidence. My non-photographer friends, fellow photographers, husband and family were behind me one-hundred percent cheering me on. It was time for me stand up and say, “I am that good!” There were a few other things that came with transition of not-good-enough to good-enough. 1. Be YOU – and only you. Sounds kind of cliche, right? Yep. But it’s true, come up with your own ideas for your shoots. I see this ALL the time in Facebook groups, “Maternity session tomorrow. Send me all your ideas for inspiration.” Photographers on the quest for the golden egg of maternity poses on Pinterest or maybe even just screen shooting images from rockstar photographers they follow on Pinterest. Am I right? When you set yourself up to do something creative and from your own inner artist within, you will take so much pride in knowing that was all you. That also sets you up for not being able to compare your version of the exact same image to someone else’s version. We all know the feeling of when we do something on our own whether it’s putting furniture together by ourself, cooking a new recipe, or whatever it is – your confidence is instantly boosted! So be you – the creative , the artist instead of someone else. 3. Choose your inspiration wisely. I know many are guilty of following…every…single…photographer they come across on Facebook. Sometimes we need to do a Facebook detox. Ask yourself, “Does this person inspire me?” if so, keep them. I rebranded several years into my business and there were a lot of photographers that I followed that confused my vision. I would see their image on my feed and think, ” I want to be that photographer when I grow up!” two images later and totally opposite, “No, No, I want to be that photographer!” . Then it finally came to me… I don’t want to be that photographer. I want to be me. So make sure that you are surrounding yourself with artists and people and communities ONLY if they inspire you to be a better artist and to create better art. Confidence does not equal perfection. Confidence does not equal no room for improvement. Confidence just means that you are happy to be you, proud to be you, and love to be you. 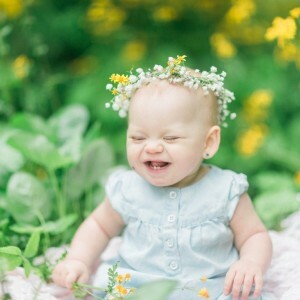 Kala, of Kala Rath Photography, is a lifestyle motherhood photographer based out of Northwest Arkansas with a very minimalist style. Kala is passionate about capturing everyday moments and focusing on the connection between family members.